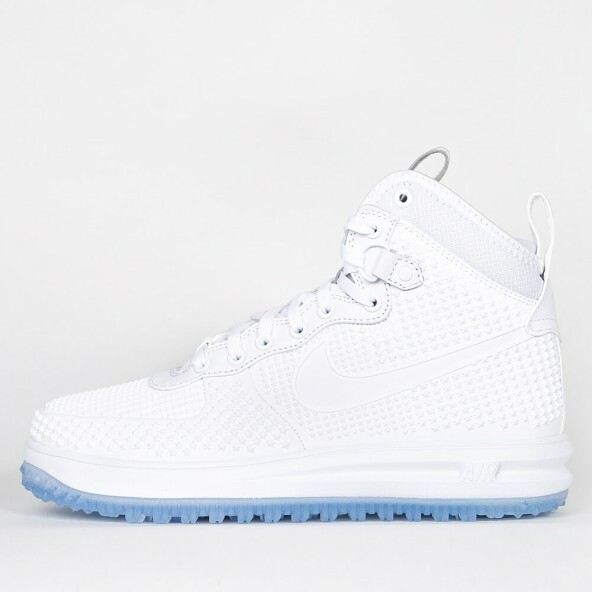 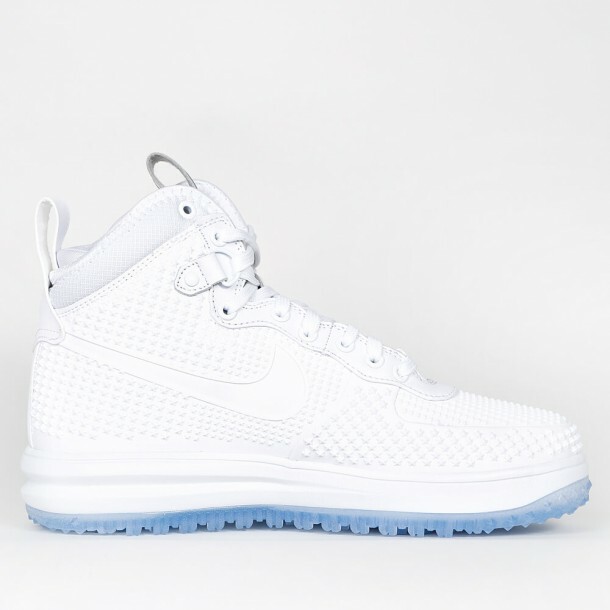 The Lunar Force 1 Duckboot is an exclusive Premium sneaker for men that won't be intimidated by the pitfalls of the upcoming winter. 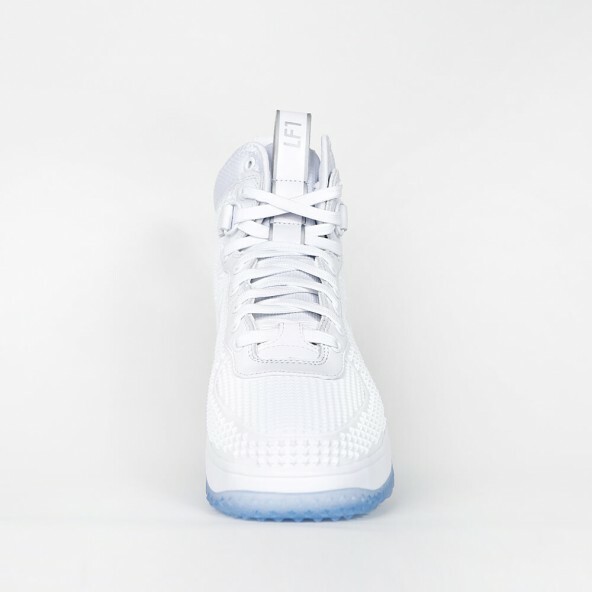 After the first Air Force 1 got released in 1982 as a basketball shoe, it immediately took the sports market by storm. 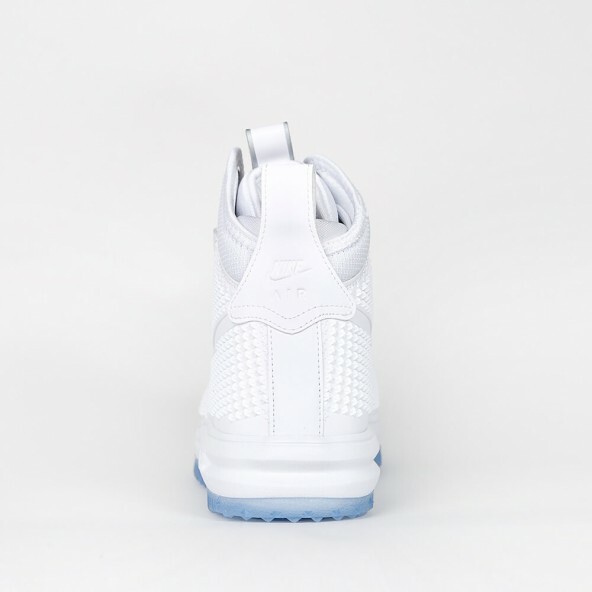 The advantages of the high cut - like the ankle protection and the Air sole element - are still unquestioned what led to numerous reissues of this popular sneaker model. The Duckboot Premium's got a waterproof upper and is lined with warming liner and looks absolutely stunning at the same time. 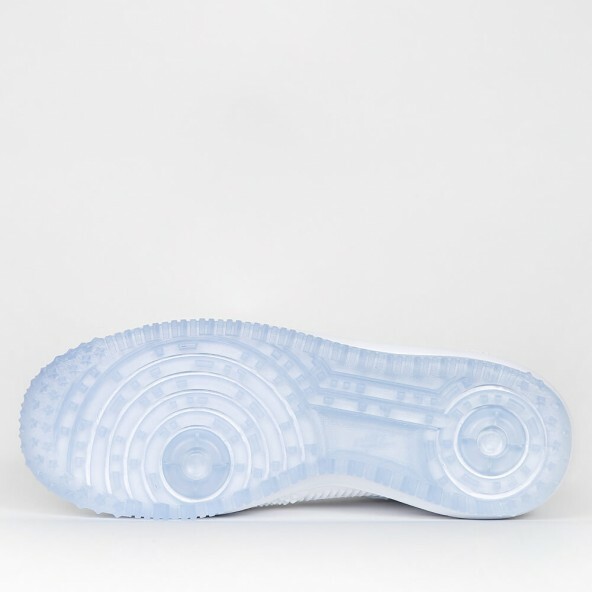 The futuristic look gets highlighted by the ice-blue, translucent rubber outsole that also provides traction. The Lunarlon midsole ensures a specially soft cushioning due to the robust foam and a supporting foam coating.